Identity and access management technologies can help organizations improve information security, optimize workflows, reduce errors, streamline compliance and achieve cost savings. 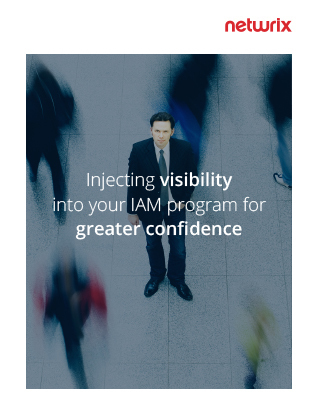 Unfortunately, however, there are a number of pitfalls that can impede successful implementation of an IAM program, and many organizations fail to proactively address them. What insights does Netwrix Auditor deliver to help you successfully roll out your IAM program? How can Netwrix Auditor help you clean up your directory to make your IAM more effective? How can Netwrix Auditor help you ensure your IAM delivers on its promises after implementation?